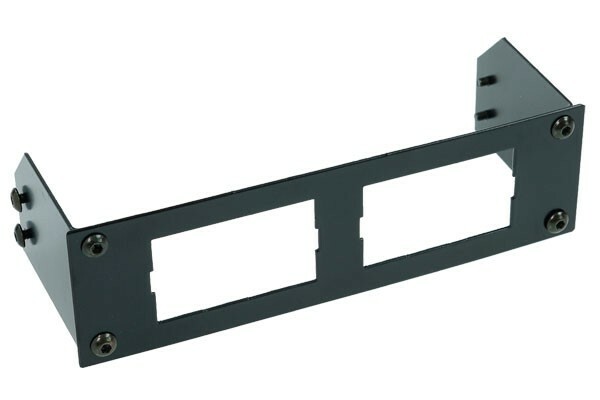 The faceplate is made from black powder coated steel and is compatible with any 5,25" drive bay. For mounting of the faceplate it can simply be pushed into the free slot and is fixated on the sides with the included M3 screws. The front is plane and all edges are deburred. The elegant front screws optimally supplement the elegant appearance of the faceplate. As this faceplate allows a free choice of displays to be installed both the choice of colours and sensors is virtually unlimited, making every front display a unique piece! Please note: Displays and sensors not included! Note: On some displays pins for locking into place may protrude for manufacturing reasons. Simply round these pins off carefully with a file to make them fit.